WOODY There are 5 products. Woody scents are built on elements such as sandalwood, rosewood, cedar, agar wood, patchouli and vetiver. Interestingly enough, contrary to what their name suggests, mostly the leaves and roots are used. Woody scents also often incorporate mossy and leather notes. Some perfumers also add a layer of spices or fruity nuances to enrich their woody compositions. A woody fragrance is earthy, warm and dry. 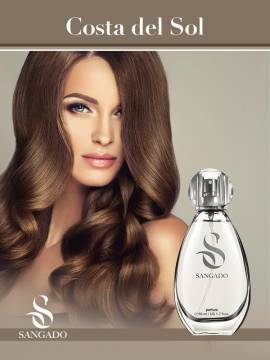 SANGADO woody fragrances are characterized by a high concentration of premium-quality essential oils. Their 12-hour lasting power makes them a great buy for personal use or a gift for someone dear. Offered to you at the lowest possible discount price.